Ever want to vent about your customers? 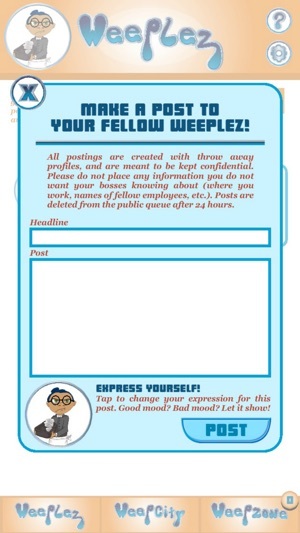 Now you can (anonymously) on Weeplez (Wee-Pullz)! 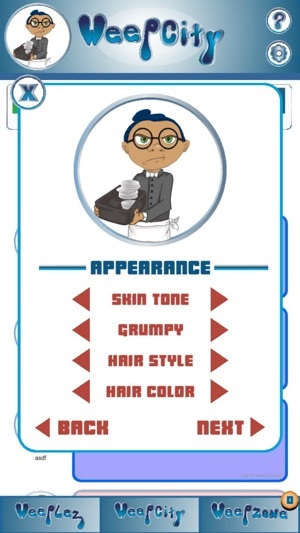 Create a fun avatar, post your bad day at work, or share a fun place to visit in your area! 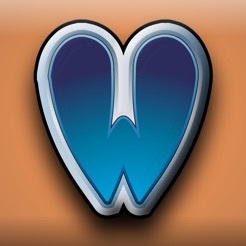 Talk to others via messages and share your frustration in a fun, comical, anonymous way! You're not the only one who had a bad day, and you're not alone in your pain. Weeplez is your 'reverse Yelp' to discuss those horrible customers who ruined your otherwise great day.